Audient just released a new bus-powered 2×2 USB audio interface called the Audient iD4 to follow up their popular iD14 that was released last year. 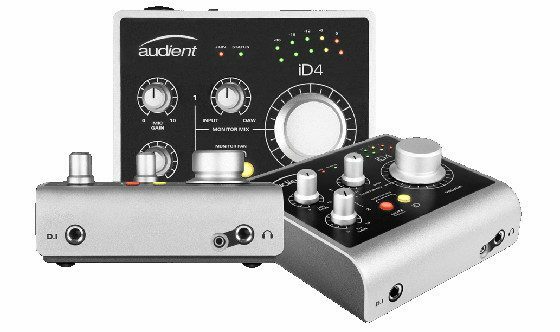 The Audient iD4 features one class-A mic preamp on the back and one JFET D.I. instrument input on the front, with dual headphone outputs, phantom power, and balanced speaker outputs. It also features an “all-metal construction” so that’s a plus for the build-quality and durability factor. The iD4 is compatible with Mac OS 10.7.5 and later, Windows 7 and newer, and iOS 6 and up. The iD4 appears to be another really good option for a high-quality USB audio interface, possibly the best option for under $200. Audient’s preamps and converters tend to have a better reputation than other sub-$200 interfaces. I’m tempted to give the Audient iD4 a try after having problems with the Windows drivers for the new 2nd gen Focusrite Scarlett 2i2. At $199, the new iD4 is only $50 more than the Scarlett 2i2 and the same price as the 2i4. It looks like Focusrite and other brands have got some new competition in the budget category. In the UK the iD4 retails for £119 including VAT and €149 including VAT in other parts of Europe. So far B&H is the only place that has the Audient iD4 listed for sale and it’s currently available as a pre-order. Update: The iD4 is now in stock and shipping from a few authorized retailers, including from Pitbull Audio on eBay. They are available on Amazon now as well. 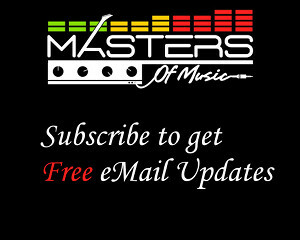 I ordered one so check back soon for a full review and a comparison between the Focusrite Scarlett 2i2 and 2i4. You can find more info and tech specs on the Audient website for the iD4. USB 3.0 on Audio Interfaces Offers No Benefits! Can you make a video comparing the Scarlett 2i2 2nd gen and the Audient iD4 wrt latency, clarity and just how well each unit performs wrt the other. I’ll post a video comparing the two next week. Here’s an article I just posted with latency comparison numbers between the iD4 and 1st and 2nd gen Scarlett interfaces.